A combined 100 teams go into the hat for both the 2005 Champions League and Confederation Cup competitions, whose opening-round pairings will be drawn in the Nigerian capital Abuja on Thursday. There are 52 entrants for the Champions League while 48 sides enter the Confederation Cup. One big name returning to the Champions League is the South African side Kaizer Chiefs after a lengthy absence. The only previous appearance by the Johannesburg team came 11 years ago when they lost on the away-goal rule in the second round to the eventual winners Zamalek of Egypt. 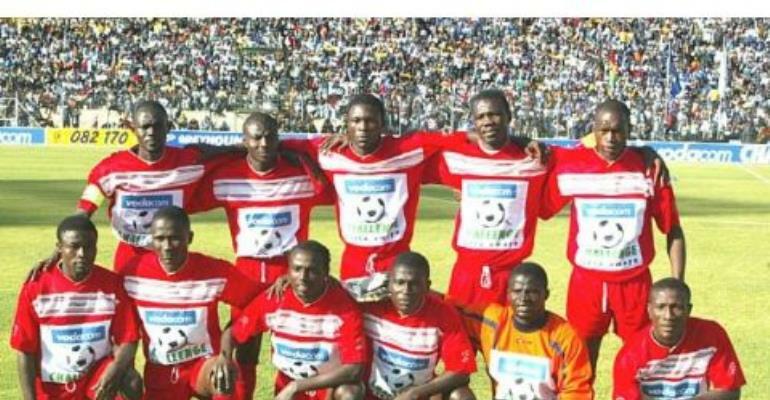 There are ten Champions League winners on the list and this could swell to 11 should Tunisia's Etoile Sahel dethrone Nigerian holders Enyimba in the second leg of the 2004 final on Sunday. Other former champions include the Egyptian duo of Zamalek and Al Ahly, Ghana's 2004 Confederation Cup finalists Asante Kotoko and Hearts of Oak, while Algeria's Kabylie, DR Congo's Mazembe, Morocco's Raja Casablanca, Tunisia's Esperance and the Ivory Coast's Asec are also involved. Thursday's draw for the US $3.5 million dollar competition will determine the pairings for the first, second and third rounds. The Confederation Cup, which is open to domestic cup winners and third-placed league teams from selected countries, includes more former African champions in the shape of Cameroon's Union Douala and Egypt's Ismaili. Yet one side missing from the draw will be South Africa's Moroka Swallows, who have chosen not to participate because of the high financial costs associated with the event. The club say they face financial ruin if they take part in a competition which offers prize money yet also forces clubs to provide expensive television coverage. Clubs must negotiate four knock-out rounds to qualify for the group stages where they share a pool of US$1.1m, but Caf regulations force them to pay for their own TV coverage. Meanwhile, the popularity of the Arab Champions League, which offeres a US$2m first-prize compared to the Confederation Cup's US$362,500, has affected the field. The north African nations Algeria, Morocco and Tunisia have all failed to select their first choice teams for the competition. First-round matches in both competitions are scheduled for the weekends of January 28-30 and February 11-13.